Entrepreneurs and merchants always do their best to become ideal and successful in their fields and they have to take immediate decisions for getting ahead of their competing businesses. They have to keep an eye on the new trends and get aware of the changing interests of their target audiences. In the meantime, they need to learn new skills, techs to pursue? and grow, providing the right directions to their business goals as well. As interests among their target audiences change rapidly, there creates a vacuum that needs to be fulfilled. It's been more than a decade that the idea of artificial intelligence is circulating around the globe and various implementations and progressions have been made to make the machines fully automated more intelligent for controlling their behaviors on every possible scenario. As in the field of artificial intelligence, big techs like Amazon and Tesla are trying to get most of it by utilizing the most of AI resources to generate maximum execution in short timeframe and it also has become a vital support for the company's backbone as well. By definition, artificial intelligence means enabling your computer machine to such an intellectual level that appears to be working and reacting like humans. Things like solving problems, voice recognition, learning new skills and making decisions for upcoming challenges. Microsoft's Cortana, Apple's Siri, Amazon's Alexa and IBM Watson are the best examples of artificial intelligent products. Though there are systems that you can consider as strong in AI and weak in AI. Strong artificially intelligent systems tend to behave more like humans and they have the ability to learn and sense like humans, on the other hand, the goal of making a weak AI system is to get the specific work done without having any sort of learning and adapting new things. Microsoft is building Arterially intelligent products significantly for many years and you would have come across many of them and I have given you an example of Microsoft’s Cortana that has proven to be helpful in everyday tasks. However, Microsoft is working on new systems and entrepreneurs are needed to learn new and emerging technologies to take their businesses to the next level. In the upcoming years, it is predicted that chatbots will be there in the apps that will have a capability to communicate and interact with other bots and also with humans to analyze and process data and commands. Microsoft’s Azure bots service is amazing in terms of increasing interactions between users and bots. One of a bigger challenge that many small to bigger business organizations are facing is having an access to large amounts of data and finding a way to sort and arrange the patterns to predict the possible outcomes.However, there are artificially intelligent systems available that can parse arrays and can structure your desired data in an understandable and organized format. In terms of big data solution providers, Microsoft's ‘Avanade’ and ‘catapult’ are honorable mentions that are helping companies by providing digital and cloud-based business services. Talking of Big Data, Google also has hugely contributed in the field of AI by introducing Modern data warehousing concept based system called Big Query. Entrepreneurs can get meaningful insights from raw and unstructured data without managing their databases on their drives because it’s a cloud based system. Businesses that involve money transactions are very much vulnerable to scams and frauds and manyof these involve the use of fake identities. 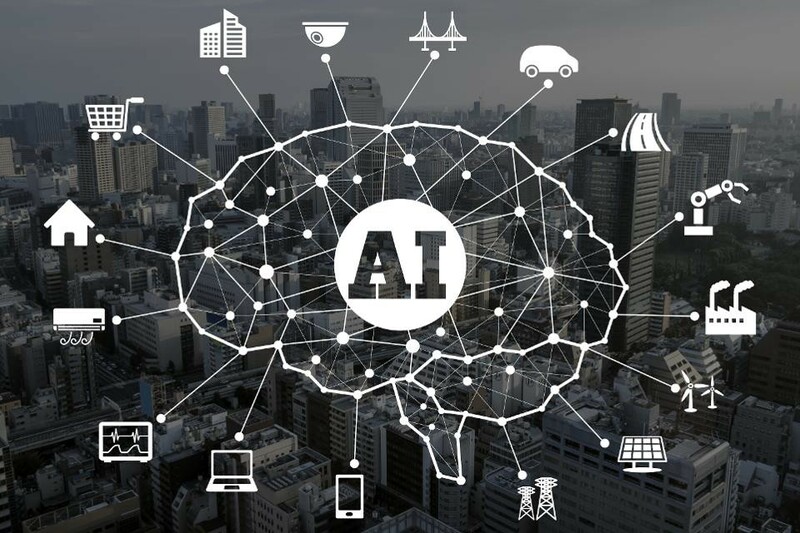 Good news is AI systems has been developed to overcome these mishaps and have developed systems that deal with protecting the privacy to individuals from getting hacked and misused. Also in terms of fraud detection Google has collaborated with a German startup to develop AI based system that allows to scan and authenticate the videos sent to them by users. The API allows media organizations to request specific videos and users with relevant geographical locations start filming it. It has become hectic for business to keep their confidential data secure as every other day they get threats related to their data as well as to their money transactions portals. In the meantime, a nonprofit organization MacAfee is working on highly complex algorithms that will deal with these sorts of crimes and will be able to perform real-time analysis. Microsoft's Azure learning and ‘Azure Paas’ services are the latest developments in creating artificiallyintelligentsystems that will deal with cybercrimesthat are related to theft and felony. It is rather difficult for the doctors as well as for patients to search for the previous medical records and accessing those records are often time taking and complicated as well. More number of patients means more queries are needed to be searched on the relevant databases. In terms of these consequences, the artificially intelligent bots are designed that can record patients' medical conditions and recommend practitioners specialized in treating those conditions and also manage scheduling their appointments with them. AI network for Health and Project Empower MD are great AI based health care systems that Microsoft has developed to help doctors overcome the burden of examining hundreds of patients in a day. As in healthcare domain Google has developed Cloud Healthcare API that allows health care records to be easily accessible and maintained. This is a potential edge for the entrepreneurs to learn and implement AI-based systems as machines are getting more smarter in terms of problem-solving and understanding the queries. Business owners who have adopted early and implemented their machine-based systems have proven to be more effective and productive than the slow learners. Well, there is a need to take these sources up freely and should be adopted by small to large scale business owners. Author Bio: Zeeshan Khalid is a Web Architect, an eCommerce Specialist and an Entrepreneur. He is the CEO and founder of FME Extensions, a leading e-commerce web design and development agency. Over the years, FME Extensions has successfully delivered projects in Magento, WordPress, WooCommerce, Joomla and other CMS/shopping cart platforms. You can find him on the LinkedIn.